We can build wood roof trusses to suit any application – Both large and small residential projects, large and small commercial projects, pole barns, garages, and everything in between. 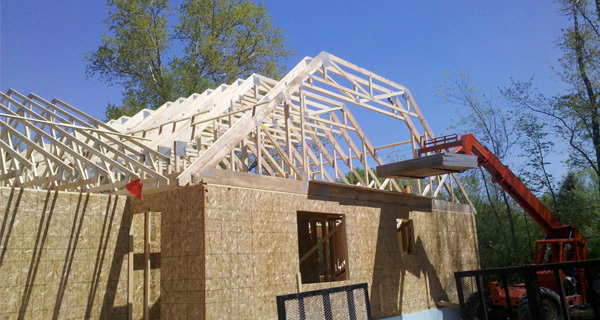 Floor trusses can be a great alternative to dimensional lumber joists and even engineered wood I-joists when span ability and an open-web design are desired. 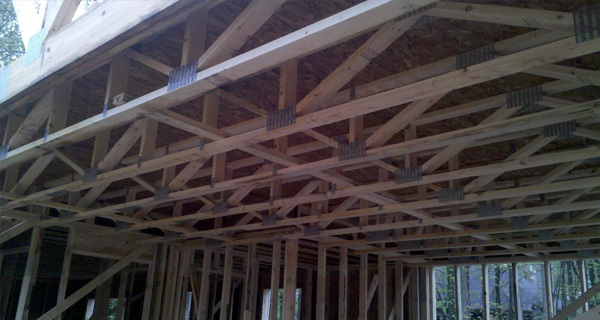 Featuring large clear spans and heat chase openings, floor trusses have many applications. 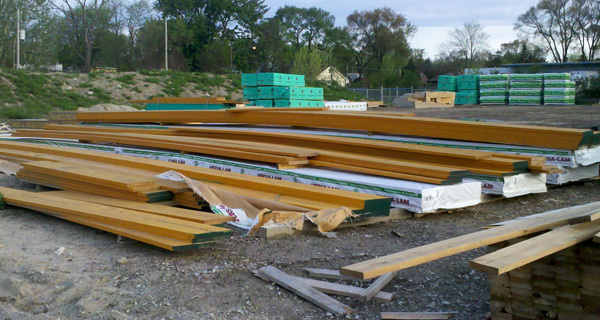 Panelized walls can be utilized on nearly any structure to speed the framing process while maintaining accuracy. Pre-built in a controlled environment, walls can be built in any width, height, and in various sheathing types and sizes. 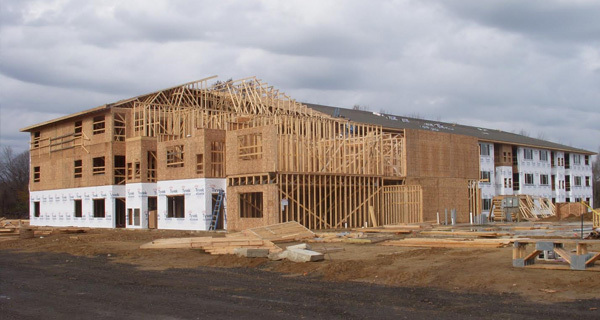 We stock and design Boise Cascade wood I-joists, along with rim joists, hangers, a full line of LVL, and engineered columns. Providing both floor systems and roof trusses from one supplier ensures continuous load paths are integrated into a building design. Mid Michigan Truss is a component wholesaler and does not sell directly to the general public or contractor. While we are happy to work side by side with individuals on a design basis, all pricing and sales will run through a lumberyard or dealer of choice.